Creating an eBook was a challenge and learning experience. One thing I learned was that it’s all changing very fast. I would research and find websites, and the next time I looked they were gone. 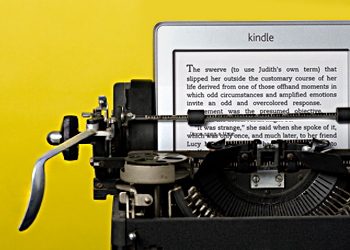 The positive side of that is that it’s become much easier to create an eBook with Amazon Kindle Direct Publishing (KDP.) I found it really simple to upload, preview, and edit in KDP. Here is a nice guide from the publishers of the For Dummies books. David Gaughran has a good post about the basics of publishing. Of course you want to start by having great content for your eBook. This article at Firepole Marketing has some good advice on that. My first challenge was grabbing content from my blog to use in the book. I used http://blog2book.pothi.com/ for this. Then I did a lot of editing to improve and organize that content. I don’t have the newest version of Microsoft Word, so this was a bit of a challenge also. Shauna Kelly has a great explanation of How to create a Table of Contents in Microsoft Word. This video explains how to create a table of contents in Open Office. MS Word tends to put extra “stuff” in that might not be visible but looks weird when you publish an eBook. I read a lot about this, and can’t even remember what was most helpful now! It gave me a headache! I simply used one of the covers from KDP. Do a search of your topic to see the prices of similar eBooks. Read How to Price Your eBook from Mill City Press. Once you are ready to publish, Marketing your eBook is the next step! Find out why, how and tools for getting it done at Checklist to Market an eBook. Want to see more? I invite you to “like” the Daily PlanIt Facebook page and follow me on Pinterest! My eBook “Get Goaling: the simple guide to set and achieve your goals.” is a clear, concise, step-by-step guide that gives you the tools to learn the skills and get goaling quickly.